Rotherham's Wentworth Woodhouse, the largest privately-owned house in Europe, is back on screen this weekend as one of the filming locations used for ITV's new prime-time drama, Victoria. The marvel of English architecture, which has recently had a sale agreed with a preservation trust, has previously been seen on the big screen in Mike Leigh's biopic of JMW Turner, standing in for London's Royal Academy of Arts and as part of Jonathan Strange and Mr Norrell, which was described as one of the most ambitious TV dramas ever undertaken in the UK. 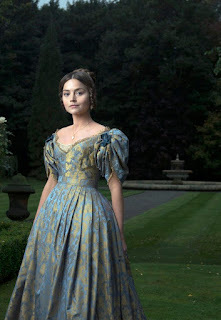 The landmark series from award winning Mammoth Screen (Poldark, Black Work) stars Jenna Coleman (Doctor Who, Death Comes to Pemberley) as Queen Victoria and Tom Hughes (The Game, Dancing on the Edge, Silk) as Prince Albert. The ambitious 8-part drama follows the early life of Queen Victoria, from her ascension to the throne at the tender age of 18, through to her courtship and marriage to Prince Albert. Victoria went on to rule for 63 years, and was the longest serving monarch until she was overtaken by Elizabeth II. Victoria is the first large scale production to use Screen Yorkshire's Yorkshire Studios, re-purposed aircraft hangers at Church Fenton. Screen Yorkshire works to secure and support the very best projects, companies and individuals, helping to make Yorkshire and the Humber one of the most sought after destinations for production in the UK. As an investor it operates the £15m, ERDF-supported Yorkshire Content Fund. 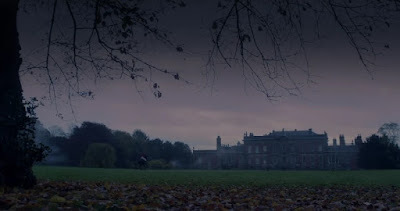 Buckingham Palace was recreated at Church Fenton Studios for the seven month shoot, which also filmed at Harewood House, Newby Hall, Castle Howard, Temple Newsam, Allerton Castle, Beverley Minster, Bramham Park, Carlton Towers, Wentworth Woodhouse, Whitby Pier, York City Centre, with a few days filming over the borders to take in Raby Castle in County Durham and the village of Rothley in Leicestershire. Creative England provided crew and locations support and helped with securing filming permissions for the shoot. Wentworth Woodhouse was used to replicate Buckingham Palace and Kensington Palace. The West Front of the house, rarely seen before it was opened up to the public, can be seen in the latest trailer for the drama. Damien Timmer, managing director at Mammoth Screen, said: "The Yorkshire Studios gave us all the space we needed for our massively ambitious studio build, are a stone's throw from Leeds and close to the many fantastic locations we needed to capture the grandeur and opulence that the series demands. "Queen Victoria's court is the perfect setting for an epic drama – a seething hotbed of scandal, corruption and romantic intrigue, involving everyone from the humblest dresser to the Mistress of the Robes, the lowliest bootboy to the Lord Chamberlain. When we join Victoria in 1837, England is unrecognisable from the country it will become by the end of her reign. As she takes her fledgling steps as monarch we slowly see modern Britain emerge." Supervising Location Manager, Jim Allan added: "The streets of both York and Whitby along with the Stately Homes of Yorkshire looked fantastic and were ideal for Victoria, also nothing was too much trouble. With the on-going help of local Councils, Owners and Staff, plus the bonus of guidance from Creative England we achieved all our goals on schedule. Yorkshire has great locations and a 'can-do' attitude." The first episode will be shown on ITV at 9pm on Sunday (August 28).